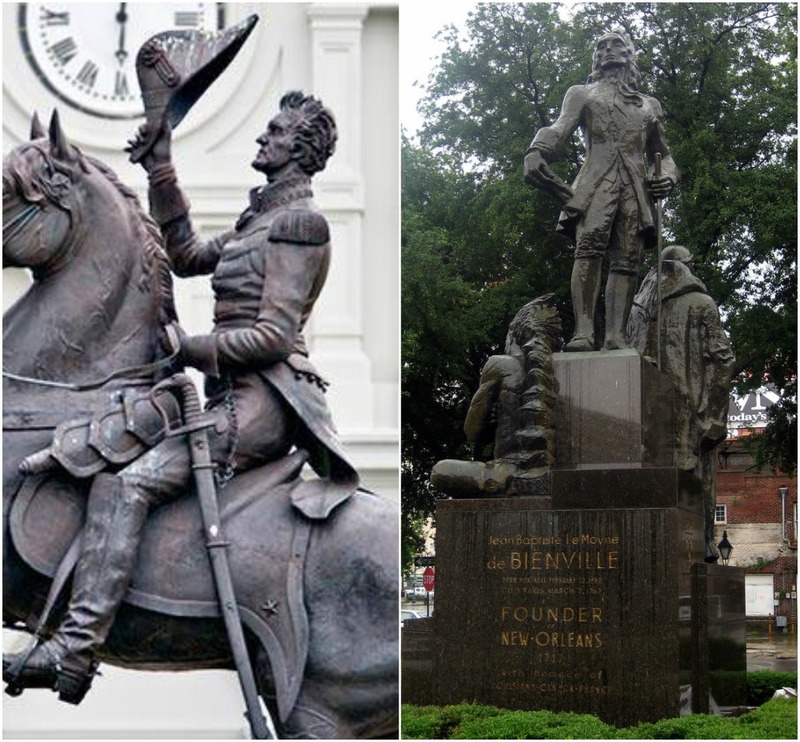 Fundraiser for Monumental Task Committee by Pierre McGraw : Save New Orleans Monuments! Monuments in New Orleans are under attack by forces who wish to rewrite history and erase the contributions of Louisiana's Veterans. 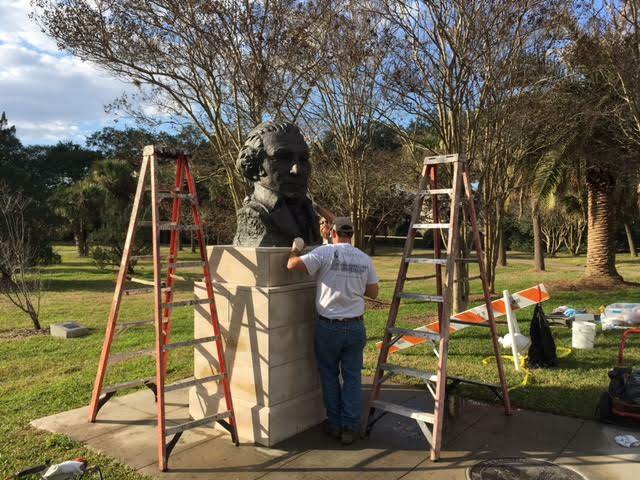 The Monumental Task Committee, a non-profit dedicated to preserving, restoring, and protecting all monuments, is waging a battle to keep our historic monuments standing tall! 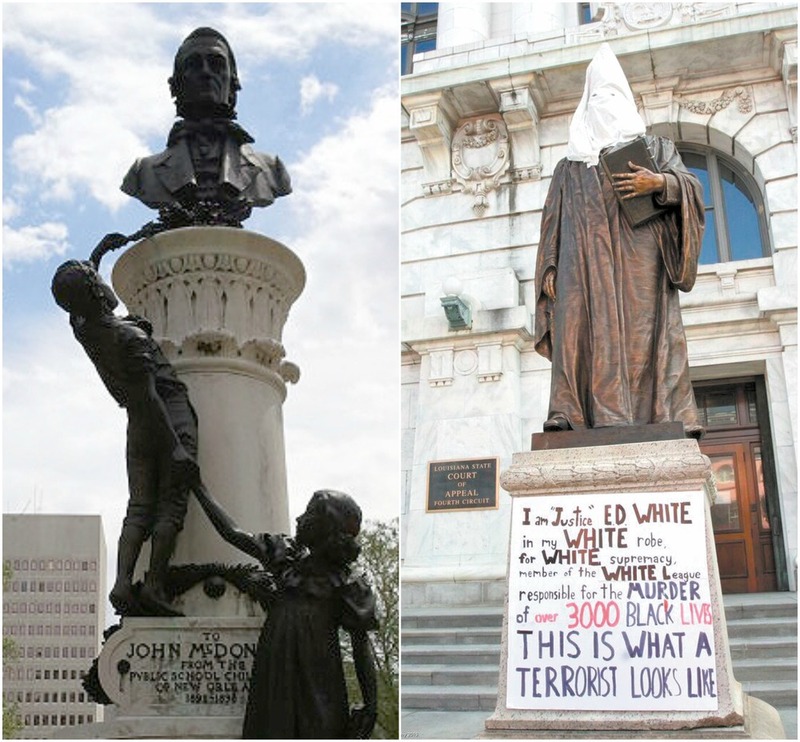 By sharing this page, or by making a small contribution, you can help us prevent the removal of monuments in New Orleans! 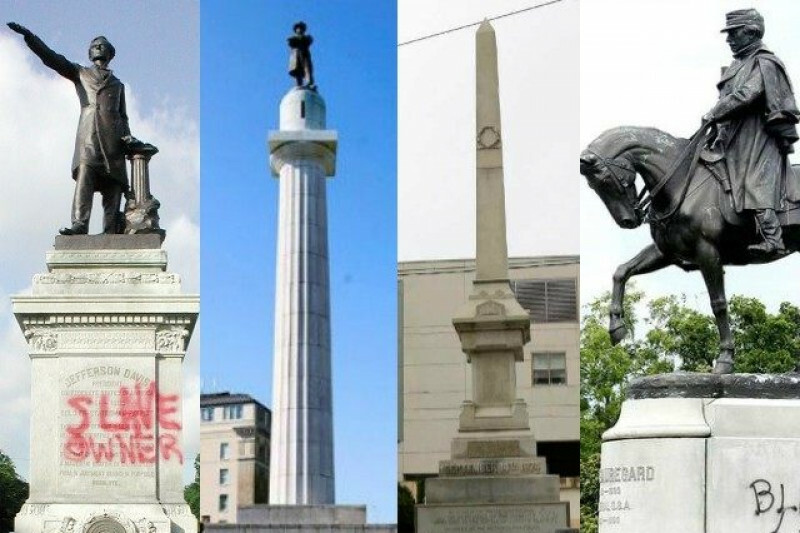 It is clear that the effort to erase history will not stop until even our most iconic mouments are removed. Let's stop them now! Donate to the Monument Defense Fund and let's protect our history before it's too late. As you may know, MTC supports Rep. Thomas Carmody's bill to protect veteran monuments and memorials statewide, including the monuments targeted for removal in New Orleans. The bill, HB 71, passed out of committee and now heads to the House floor. We have much more to do, but today we're proud of our victory. Thank you to representatives on the House Municipal Affairs Committee for supporting HB 71. But thank you too our supporters and generous donors! 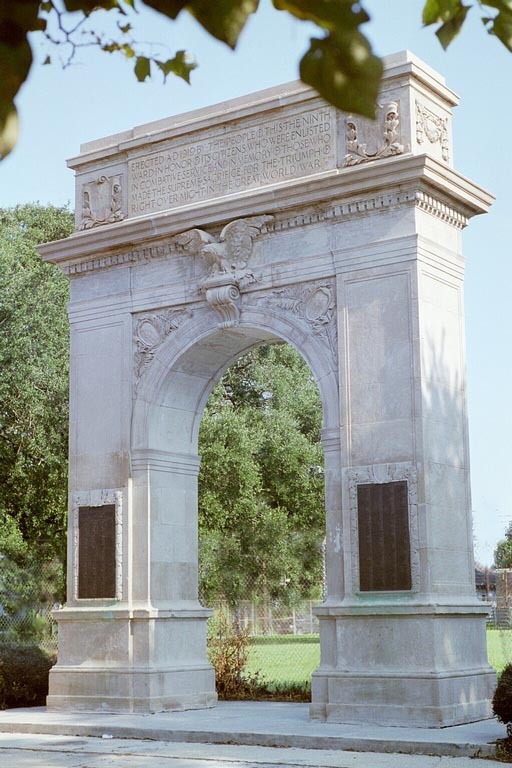 Below is a picture of the World War I Victory Arch in New Orleans (Bywater/9th Ward), which honors veterans of the Great War. 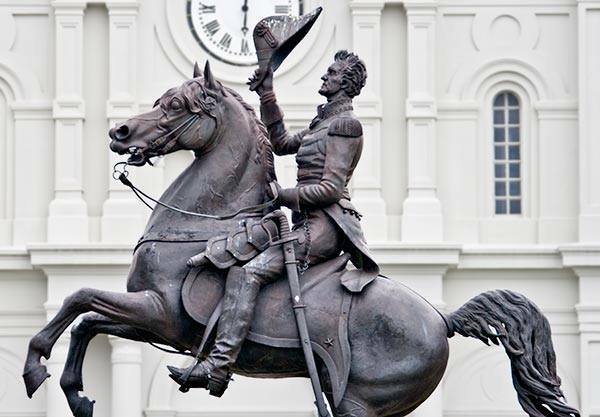 Incredibly, the Victory Arch, along with Bienville, Andrew Jackson, and many others, are on Take 'Em Down's hit list. MTC is working with state legislators to stop this wholescale dismantling of our historic monuments by the Mayor and Take 'Em Down. Join us on Sunday, March 26th from 1:00 to 4:00 p.m. at Rock 'n' Bowl and learn more about our plans to protect monuments statewide, as well as the monuments immediately threatened with removal. Only with your help will we be successful! Like you, we are disappointed in yesterday's ruling. The plan to dismantle historic monuments does not advance any cause; rather, it erases history and only puts more monuments in line to be dismantled. Our opponents have made no secret that the monument to Andrew Jackson and the WWI Victory Arch are their next targets. MTC continues to believe that our plan to add context to historic monuments is the best plan forward and we will continue our fight on multiple fronts! If you want to see a New Orleans which builds new monuments rather than tearing down history, join us today! The Monumental Task Committee, Inc. has a plan to build new monuments to forgotten heroes and historic events throughout the city. One hero who could be honored is Andrew Higgins. 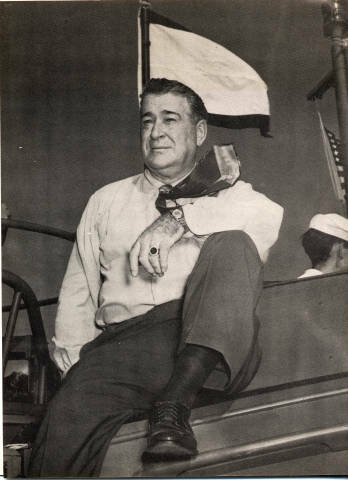 Dwight D. Eisenhower called Andrew Jackson Higgins "the man who won the war for us." MTC believes strongly that the removal of #monuments does a disservice to history and society. Rather than simply taking monuments down, we support the installation of interpretive plaques to aid in the ongoing discussion which puts the monument in a more current context. Join us today at monumentaltask.org or consider a small donation. there are other options aren' t they? what next? Figures of past presidents???? Did mayor Landrieu and the Midnight Ninjas break the law by removing the Liberty place monument prior to the judge lifting the court restraining order to keep the monuments in place. The judge did not lift the restraining order till much later after the monument had already been removed early in the morning on Monday. Millions of Confederate descendants are outraged and crying out for answers: WHAT CHANGED IN 152 YEARS? - What has Mayor Mitch learned about Confederate heroes we didn't already know? - What did General Robert E Lee do to deserve this? - How could millions of people love Lee Circle, with tourist traveling millions of miles to see it, and suddenly it needs to be destroyed? - Why can't the Mayor's new statues go in another NO park? - Does anyone else see this as Cultural Genocide? Placing newer heroes in public places s fine, however the city had foundational heroes first. WWII heroes add to but do not take the place of the foundation! We could even elaborate on the foundational ones, but that probably would cause a bigger ruckus! No, stay focused on the real problem which is denying history! A frightening thought in and of itself. With all that is going on, I would like to help Pierre McGraw with this project! This is so important. I hope we are victorious in our efforts to preserve the facts of our history.